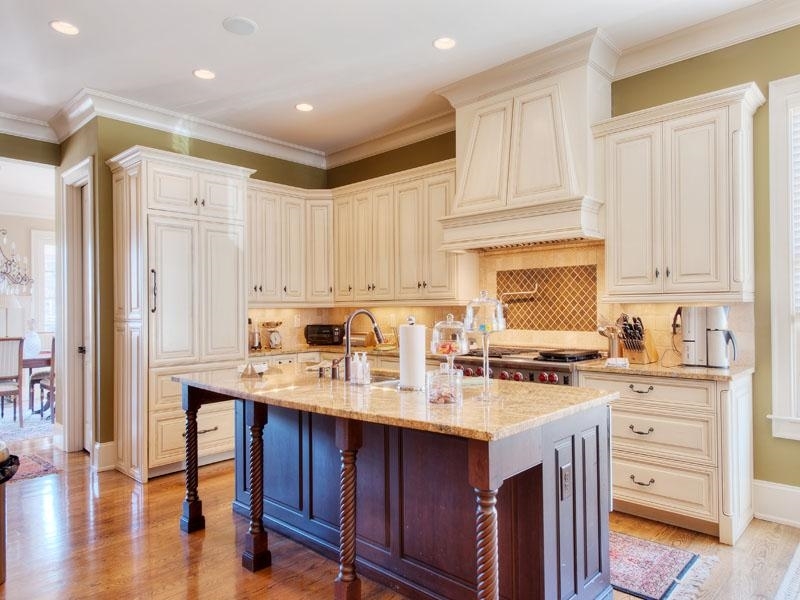 The finishes and quality of this home are those more fitting to a multi-million dollar home, however, 2095 Cooper Lake Drive is priced under a million and still boasts high-end appliances, a built-in ice maker and a custom 6k + square foot floor plan. It also offers simple access to interstates and Buckhead is at the tip of your fingers. The stately presence of this home is best experienced while sitting on the grand front porch. Just inside the double front door is a large entry hall leading to both a formal dining room and coffered ceiling living room. The dining room is filled with natural light, a fulfillment of the original plan from Norwood Architects. Gleaming hardwood floors flow throughout the home – from the dining room through the butler’s pantry (home of the ice maker) to the incredible kitchen. The large central island resembles a piece of heirloom furniture and provides ample prep space as well as room for company to pull up a stool to the counter. 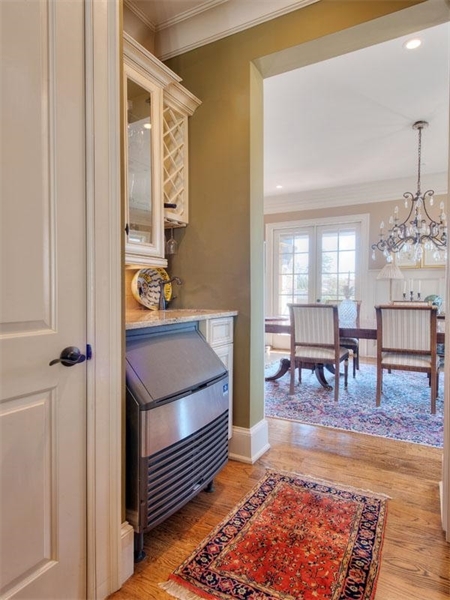 Many other upscale amenities are found here including a Viking range and stove-side pot-filler. 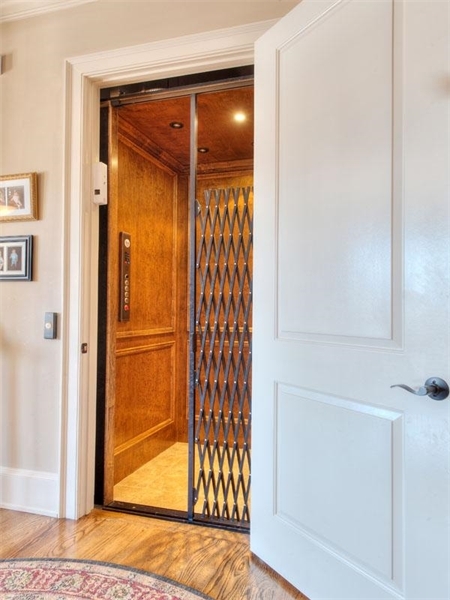 With so many special rooms in this house to experience, the current owners wanted to make sure accessibility was never a problem, so there’s an elevator that accesses all three levels. One of the best rooms to find while using the elevator is the interior family room. It’s kind of like a sitting room for the private areas of the house. This room is located on the 3rd level in the middle of all of the family bedrooms. In the past, this room was used for middle-of-the night feedings and includes a refrigerator and sink for drinks or a coffee bar. A coffered ceiling in the living room is just one example of the upscale finishes in this home. The ice maker’s home is in the Butler’s Pantry. A beautiful kitchen is the perfect setting to make memories in this wonderful home. As you might expect in a home of this quality, the master bedroom has ample space and a unique barrel-vaulted ceiling. Additionally, a soaring ceiling in the master bathroom creates an airy feel among the raised double vanities, soaking tub, and large walk in closet. Barrel vaulted ceilings are unique and fun to look at – and especially cool in a master bedroom. A gated neighborhood is rare find in Cobb County, and it, along with a private street, is found here at Holden Estates. For metro Atlanta owners who travel, this secure environment is key. And traveling from this location is a breeze. It’s about a minute to I-285 (west of I-75) and about 20 minutes to Hartsfield-Jackson International Airport. Closer to home, you’re just a stroll away from Oakdale Park, and less than a mile away to One Ivy Walk – home of many great restaurants and boutiques. As always, please contact me with any questions you may have or to see this beautiful home. This entry was posted on March 18, 2014, 3:57 pm and is filed under Uncategorized. You can follow any responses to this entry through RSS 2.0. You can leave a response, or trackback from your own site.